FlexiCapture for Invoices is a turnkey capture solution that replaces costly manual data entry with efficient automated invoice processing. By enabling early capture of invoices and centralized validation of data, it reduces the cost of paying an invoice, improves visibility into the payment cycle and increases the accuracy of financial analysis and forecasting. 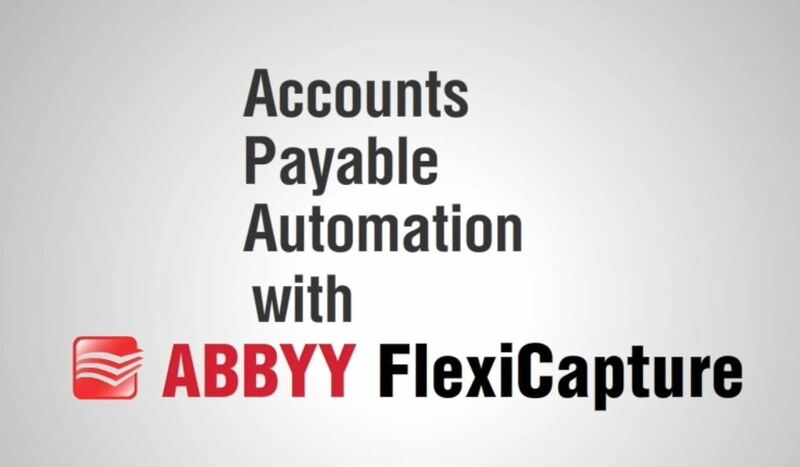 Watch the demo: How easy this is to capture invoices with ABBYY FlexiCapture into your AP process. Business-Ready Invoice Processing — Finance departments or service providers can immediately start using the solution to replace manual invoice handling. The built-in invoice reader logic and the latest country-specific profiles allow a finance department to extract all relevant data from invoices. The solution can be seamlessly integrated into an existing financial environment, ERP systems and approval workflows within a short installation period. Because it is easy to adjust and customize, system operators can easily adjust the system to meet new internal or legal requirements without additional programming. Paper Invoices and e-Invoice Processing in One Solution – Enterprises or service providers can receive both paper-based and electronic invoices and process them in one single stream. Central inboxes can also be easily linked to the system to capture invoice data from e-mails and their PDF or image-based attachments. Invoice Validation directly by the Accountant — Accountants are guided step-by-step through a user-friendly validation client which highlights invoice fields that require special attention. Refining and adjusting extracted invoice information becomes a simple and fast click-through process. System Training “On-the-Fly” – Invoices from new vendors or new invoice fields can easily be trained directly by the operating personnel upon the first occurrence. The training results are used to process all future invoices from this same vendor, enabling higher extraction accuracy and shortening implementation time. Automated Data Matching — Purchase order, vendor or business unit matching and validation against ERP master databases facilitates high data quality and speeds up the overall invoice processing cycle. Straight-Through Processing — Accounting personnel can focus on exceptional cases, and other important tasks as correct invoices are processed automatically and unattended. Invoice Archival — ABBYY FlexiCapture for Invoices automatically creates electronic archives of invoices facilitating audits, timely response to internal or external inquiries, and compliance with financial document retention regulations. Comprehensive and Flexible Architecture – ABBYY FlexiCapture for Invoices can be deployed in a centralized, distributed or mixed environment, and easily extended to serve other document processing tasks throughout the company. The solution is also an ideal choice for companies with multiple business units dealing with dissimilar suppliers or registered in different countries. Let IMS show you how ABBYY FlexiCapture for Invoices can streamline your accounting department and offer faster processing cycles.